Online dating has become a popular way of meeting someone and starting a relationship. It offers the ability to meet people online after viewing information about them on a dating website. Online dating does not offer immediate face-t- face dynamics and cues, and therefore it is important to follow some rules in order to ensure that your online dating experience is a positive one. 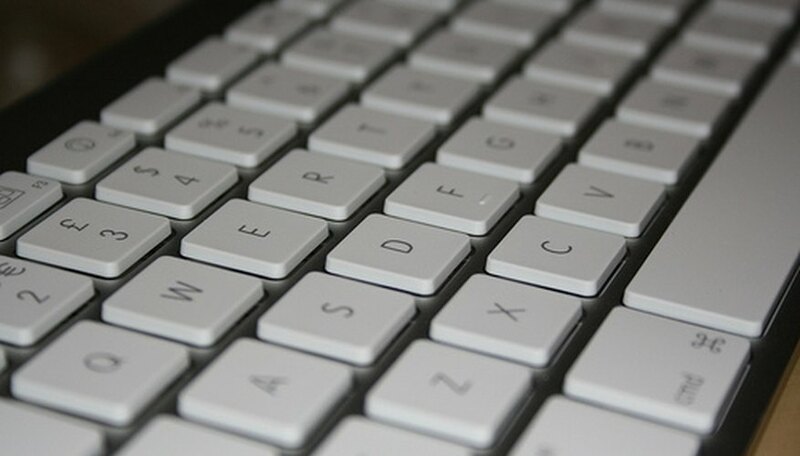 A keyboard becomes an essential tool when online dating. Fill out the profile and answer questions honestly. If you portray yourself accurately, you are more likely to meet a compatible match. Do not lie about things like career, age, appearance or marital status. Be honest and realistic about the type of person you would like to meet. If certain beliefs or interests are important to you, make note of those in your profile. Be optimistic and positive. Let your personality be reflected in your posting. Include photographs. The photos should be up to date and accurately reflect you and your personality. Don't post a photo of yourself taken more than nine months ago. Unless you ar a glamour girl, don't post only photos of yourself in full makeup and evening gowns. If you hate outdoor sports, don't include a photo of yourself on skis. Be patient while looking for matches. People join online dating services every day. If your perfect match is not on the site on day one, he may be there on day two or three. Initiate communication with multiple people. They are posting on the site because they want to meet someone. Give it a chance. Remember that you are dealing with people and not just a photograph or words on the screen. Be respectful and upfront. If you are not interested in someone, let them know. Do not just disappear if you feel the person is not a good match for you. Be polite. Do not use profanity or start arguments. Do not become an online date only. Once a rapport has been established and an interest formed, make plans to meet in person. Use common sense and be safe. The virtual world can be a haven for dishonest people. Get to know your match online prior to making plans to meet in person. Talk on the phone. Provide your cell phone number and not your home number. When you make plans for the first date, let friends know where you are going. Meet in a public place. Provide your own transportation. Most importantly, have fun. Online dating is a great opportunity to meet compatible people and hopefully start a meaningful relationship. Cavanaugh, Bridie. "The Rules of Online Dating." Dating Tips - Match.com, https://datingtips.match.com/rules-online-dating-5452198.html. Accessed 18 April 2019.